This paper discusses the utilization and perceptions of wilderness environments in Iceland, where tourism and power production have increasingly grown. Sæþórsdóttir, A-D. and J. Saarinen (2016). Changing Ideas about Natural Resources: Tourists’ Perspectives on the Wilderness and Power Production in Iceland. Scandinavian Journal of Hospitality and Tourism 16 (4): 404-421. The tourism industry is a growing economic sector that utilizes wilderness environments and has become an important stakeholder in terms of defining the use and management of wilderness areas. Governing and managing the wilderness is a forum for conflict between various stakeholders, land use and meanings attached to wilderness. This paper discusses the utilization and perceptions of wilderness environments in Iceland, where tourism and power production have increasingly grown. The research focuses on the challenges created by the changing ideas about natural resources in the Icelandic Highlands, with an emphasis on the perspectives of visiting tourists. Based on the on-site interviews, the paper analyzes what kind of experiences tourists value in the Highlands and what kind of impact power production developments would have on their experiences. The study indicates that despite the fact that human influence in the Highlands has been substantial due to tourism and past power plant developments, visitors still consider the main attraction of the Highlands to be its wilderness character. The majority of visitors are against power plants and consider that those elements would reduce the quality of the wilderness experience. This social construction of the wilderness in Iceland reflects how wilderness is rather a subjective idea than reality. This idea is furthermore sustained by the tourists themselves. 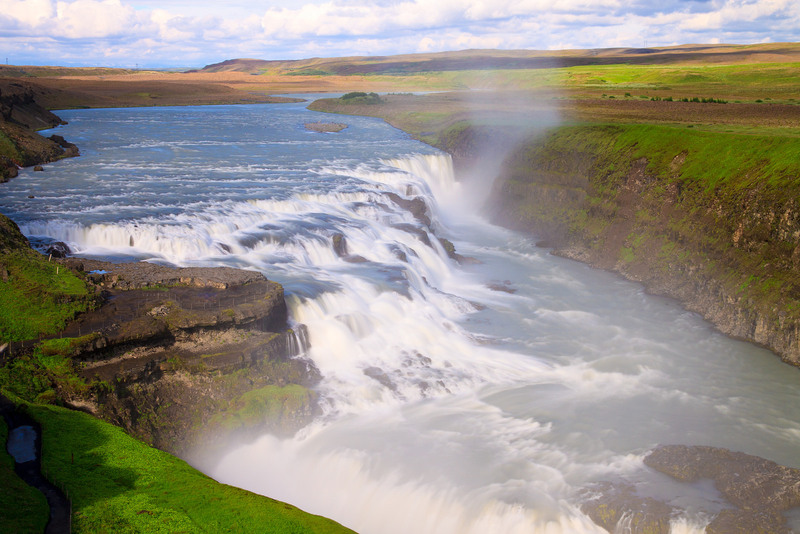 Photo: Gulfoss, Iceland. The Great Watefall. Michael Ransburg/Flickr.